It is almost impossible task for social networks to keep everything safe against hacks and other vulnerabilities. Hackers will constantly find their way around anything that you put in place. So they often deals with hackers & turn themselves to beef up the security level. Social networking giant Twitter exactly did the same thing. The micro-blogging network has hired the famous/infamous Apple hacker, Charlie Miller, to be a part of its security team. Charlie Miller, a popular figure among hackers, broke the news via his Twitter account, saying, “Monday I start on the security team at Twitter. Looking forward to working with a great team there!” Twitter issued a short statement noting that Miller’s title will be that of Software Engineer, but declined to discuss any further details. Charlie Miller has a background as a Global Exploitation Analyst in the National Security Agency, and has hacked devices running on iOS, OSX, and Android. He is considered to be a white-hat hacker, which means that he hacks to expose vulnerabilities in a system in order to have those weaknesses fixed. Five year ago, Miller was said to be the first to hack the iPhone using the device’s browser, exposing the handset’s vulnerability to security attacks. Several months after this, he was likewise able to hack a MacBook Air in just two minutes. This feat allowed Miller to win the Pwn2Own hacking competition. Miller also showed a way to hijack iPhones through SMS in 2009. In 2011, he used the MacBook power adapter to implant malware on the laptop. In the same year, his license as an Apple developer got revoked because Apple found that he breached the development agreement. In more recent times, Miller had been working on Android devices. In June, he was able to overcome Bouncer, Google’s security program. He has furthermore experience in using Near Field Communications to control Samsung and Nokia handsets with a simple wave of another phone that is within the vicinity. 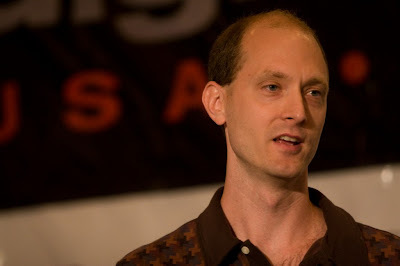 While talking about Charlie Miller, we must have to take another name and that is Nicholas Allegra, the world-famous hacker known as "Comex", creater of JailbreakMe.com; who later has been hired by Apple itself . In case of Twitter we must have to say, apart from Miller, Twitter also hired Moxie Marlinspike, a hacker who specializes in SSL and VPN encryption.